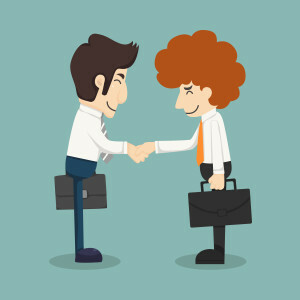 Meeting a client for the first time can be exciting and stressful but it is part of an on-going business. In order to handle this meeting successfully and make a positive impact, you need to take some steps before and after the meeting. Below you can find some hints for your first client meeting. Prepare: Do some research about your client before the meeting. You can start with typing the name of the person you will meet with into a search engine. Learn the background of this person so you can chit chat before the meeting and hit the topics he may enjoy having a conversation with. Afterwards, learn the company he represents very well. Read its website and try to understand its products and/or services. Show Your Expertise: Don’t estimate that the client knows everything about you. Therefore, it is important to show your previous work. Prepare a portfolio, a pdf or a slideshow about your previous projects and walk the client through this journey. While presenting, make eye contact with the client and have an open body language. Moreover, try to be concise and to the point. Emphasize how you previously solved the issues with other clients and how you can help them now. However, try to set appropriate boundaries to your services. Otherwise, the client’s expectations may be too demanding. Keep the Meeting on Track: Always prepare a meeting agenda and send it to the client preferably 48 hours before the meeting. This will help confirm the topics that will be discussed during the meeting. Start the meeting on time. Remember that time is money. Also, control the meeting very well. When you feel that you or your client is going off topic and talking about something else instead of business, you need to get them back on track. Give them Action Items to Follow: It is normal that there will be items your client needs further explanation or topics which need to be discussed with coworkers or bosses. For this reason, it is important to make a list and go through this list at the end of the meeting so your client knows what to do for the next steps. After the meeting, write the meeting minutes and send it to your client via email. After a week or so if you receive no emails from your client, follow-up and ask them if they need any other information.